Indian police say the call center employees were scamming US citizens by posing as IRS personnel. Authorities arrested more than 500 Indian call center employees late Tuesday evening for illegal scams committed against U.S. citizens. Indian police say the call center employees were scamming US citizens by posing as IRS personnel to gain sensitive bank details. The call center employees — who worked at a 70 percent commission — would siphon small amounts of money from the funds kept in the US banks. 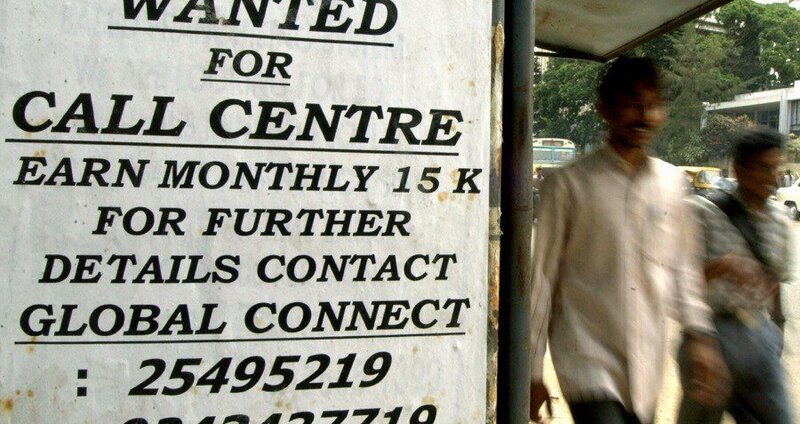 The illegal scamming hub would advertise these job listings on trains in the Mira Road locality of Thane, promising a generous offer for unemployed youth who may be hanging around. The center’s management would train these employees to develop American accents, before giving them a daily quota to hit. The victims of the IRS scam would be kept on the line and threatened with dire legal consequences if they didn’t immediately hand over their financial information. Alternatives to the scam included transferring money directly over Western Union to settle a fake tax debt, or even purchasing iTunes gift cards. The serial codes could be sold online for a tidy, and virtually untraceable, profit. “These criminal acts are perpetrated by thieves hiding behind telephone lines and computers, preying on honest taxpayers and robbing the Treasury of tens of billions of dollars every year,” said Sen. Orrin Hatch (R-Utah), the Senate Finance Committee chairman. The panel had been hearing the testimony of Timothy Camus, a Treasury deputy inspector general for tax administration. Camus went on to testify that scammers have targeted over 366,000 people, with one victim in specific losing $500,000. A Pennsylvania man was sentenced to 14-1/2 years in prison last year for both money laundering the ill-gotten gains and his role in providing Indian call centers with tip sheets. Next, check out New Documentary Highlights The Cultural Cost Of Urban Development In India.